Feel free to contact us on the right side of this page, or email us at admin@advent-music.com . Calligraphy is a unique twist to your indoor event that is guaranteed to give your esteemed clients and guests a great conversation topic to talk about while they are waiting for the main events to happen. Appealing to both the old and young, having calligraphy is a superb talking point on social media when the younger generation takes these unique works of art and posts them on popular social media platforms like instagram and facebook. Feel free to contact us on the right side of this page, or email us at admin@advent-music.com. What does our calligraphy services encompass? Each queueing guest will receive 2 slips of paper – one with a his/her name, and one with the well wish. We also provide the option of providing plastic sleeves for your guests to conveniently bring their souvenirs back home, so do let us know if you would like to have the add on of plastic sleeves, and we will be happy to provide them. Looking for our calligraphy service for another event, like a Dinner and Dance, Product Launch, Wedding, Birthday, or Indoor Event? We are able to provide services for that too! 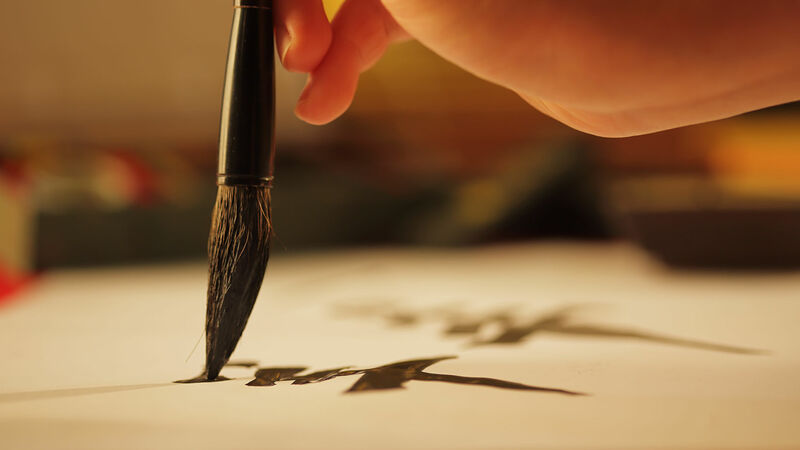 Engage a Chinese Calligrapher for your event today!